For over 20 years, ThunderDome Racing Entertainment & Attractions has worked with marketing and company directors, event directors, meeting planners, and private companies to provide high quality entertainment for corporate and group events nationwide. 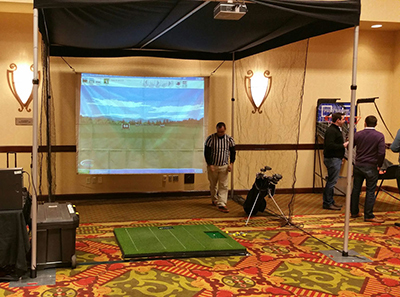 We offer top of the line race tracks, arcade games, golf simulators, photo booths, and more! 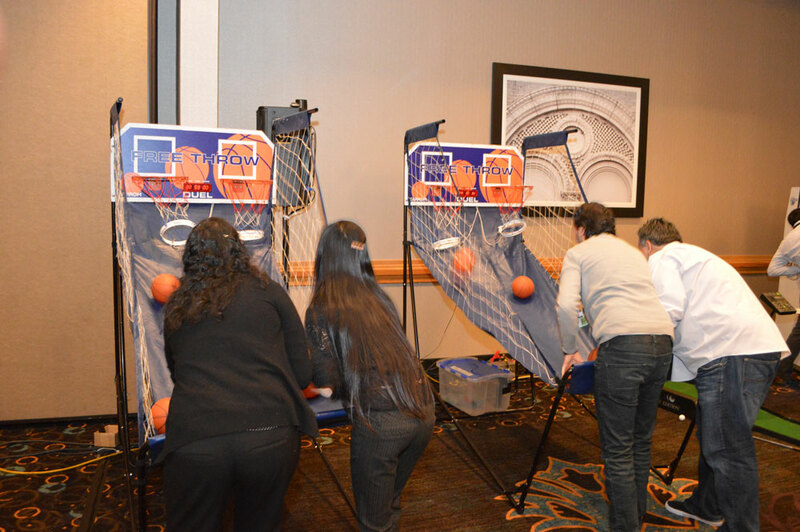 Enjoy Your Next Event With Interactive Bar and Arcade Games! When is the last time you and your friends or coworkers got together for an evening of fun and arcade games? Our multi-cade machines bring you a collection of the most iconic original arcade games to enjoy with your friends. Why not transform your next event into a night at your favorite sports bar? We carry pool tables, foosball, and air hockey to electronic darts, ping pong, a 100-CD jukebox, and everyone's favorite multiplayer games. Whether you're looking to unleash your inner pool shark or challenge your friends and colleagues to a game of Space Invaders, we have the most popular models of the games you know and love! ThunderDome is also a great source for golf amusements and simulators. Let's face it -- not everyone has enough free time to make it to the golf course as often as they'd like. We'll bring the golf course to you with everything from putting, chipping and driving games all the way up to a complete 18 - hole golf simulator. Throw in the ultra popular Golden Tee or PGA Tour Arcade Game and we have everything it takes to get your party on the links without even needing a cart! Between our inflatable golf range and driving and putting simulators, our golfing entertainment attractions are the next best thing to a day on the links!